The latest board to soon to be released from the crew at BOTE Boards is dubbed the Rackham and it looks to be twelve feet of awesomeness. The Rackham weighs in at 41 pounds, has a max weight capacity of 400 pounds, and features the Paddle Sheath which is a genius upgrade which I hope to see in other BOTE models. The BOTE Rackham is available for pre-order with delivery in mid October 2014 with a price tag that starts at $2,200. 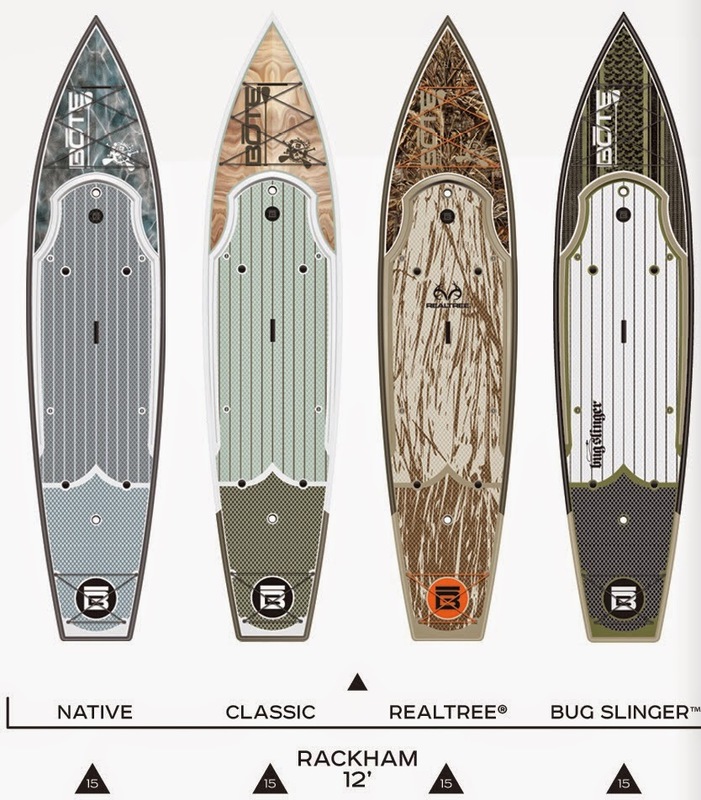 I have a thing for fly fishing capable paddleboards and a BOTE of some sort is still high up on my list. For more information check out the BOTE Boards website.